The weather has been very stormy here on the Oregon coast. We have had three high wind and heavy rain storms come through in the past three days with more to come. There are landslides, sinkholes, major flooding and closures on Highway 101, the main road here on the coast. I still get out for a daily walk but the torrential rain and high winds mean I spend most of my time indoors. Needless to say, getting out to paint or sketch is not only not practical but potentially dangerous! 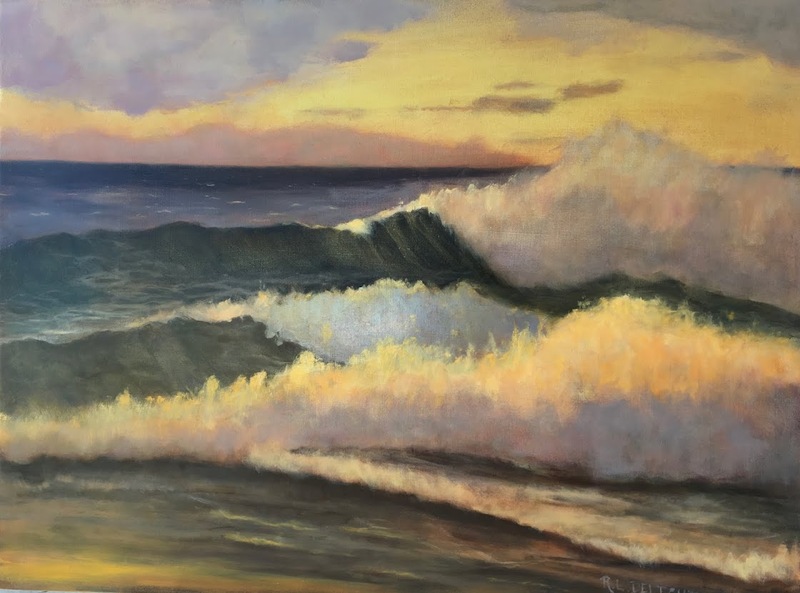 I am actually enjoying the break from painting outdoors and am taking time to think long and hard about my work and where I want to go with it. I have decided that I want my studies to support my growth toward being able to paint what I envision and feel when painting outdoors. That might seem challenging during the bad weather we are experiencing at the moment but fortunately, I have a lot of interesting driftwood and rocks I have picked up here and there on my beach walks. I plan to make a lot of sketches of them this year. 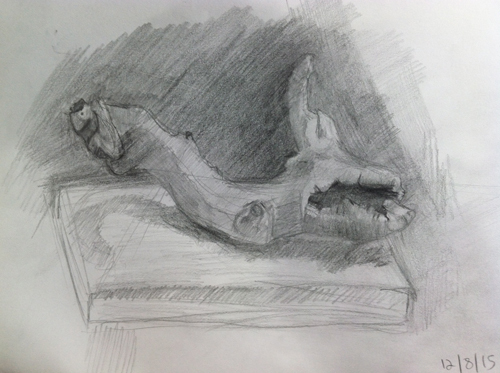 Today's sketch is just that, a bit of driftwood. I love how driftwood has many twists and turns. It is often smooth and worn from being tossed around by the waves. It is challenging to make the sketch three dimensional as it flows between various planes and angles. It will be an interesting exercise to sketch these. Here is a picture I took on the beach yesterday. It looks like it is in black and white but, at the moment, this is exactly how gray the beach looks during these storms.